Christmas is in the air, the tree is up, the chocs are out (I like to start early) and I’m getting really excited now! I still have some shopping to do, but I’ve got most of it done now luckily. 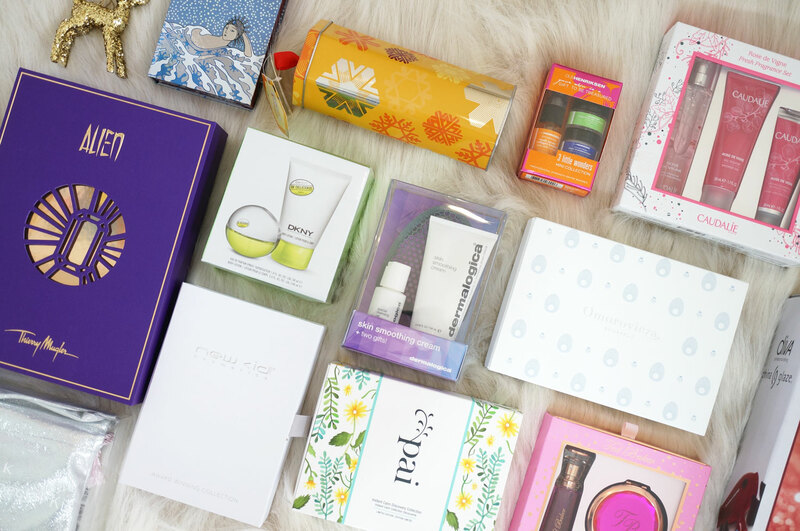 I’m just looking forward to spending some quality time with Freddy and the rest of my family now 🙂 If you’re still picking up gifts and you’re on the hunt for some beauty goodies for a loved one, I have some gorgeous sets to share with you today, including skincare, fragrance and makeup. Enjoy! I tried DKNY’s new Be Delicious fragrance when it launched a couple of month’s ago, I won’t go into too much detail as you can check out my original review here, but it’s a wonderfully juicy and fresh scent, and this little gift set includes a mini tube of body lotion and an EDP fragrance, which would make a lovely gift. If you’re looking for a fragrance set that’s a bit more in the fancy side, what about this Alien Gift Set by Thierry Mugler? The set is beautifully presented in the classic Alien colours of purple and gold, and inside is a 30ml refillable bottle of Alien eau de parfum, a 100ml radiant body lotion, a 30ml shower gel and a 15ml body cream. 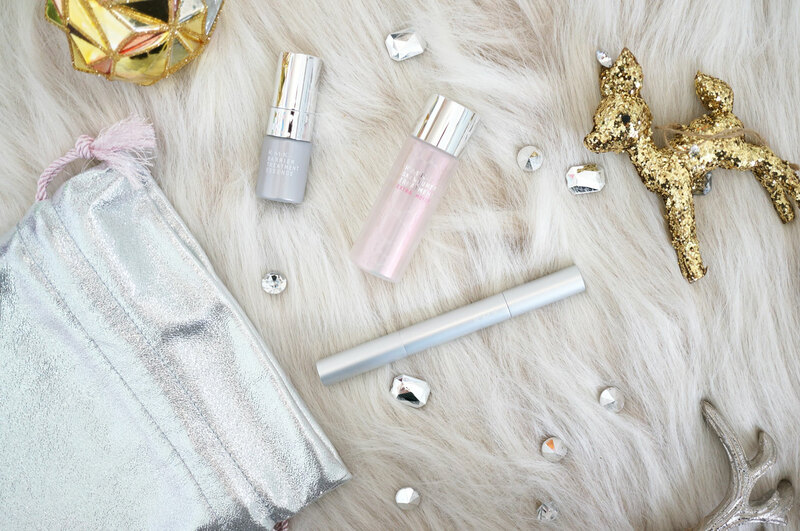 RMK may not be the first brand you think of when you’re looking for beauty and skincare gifts, but this gorgeous little set should definitely be on your radar. I’ve tried a few RMK products before and I really think they’re underrated. If you’re looking for something a little different, this set contains a Limited Edition Liquid Concealer in EX-01 (the lightest shade), a 30ml bottle of Extra Moist Skintuner Treatment, perfect for rehydrating the skin, and an 8ml Barrier Treatment Essence, to strengthen the skin’s natural barrier and prevent dryness. This fab little set from Burt’s Bees doesn’t even need wrapping as it’s so wonderfully packaged! 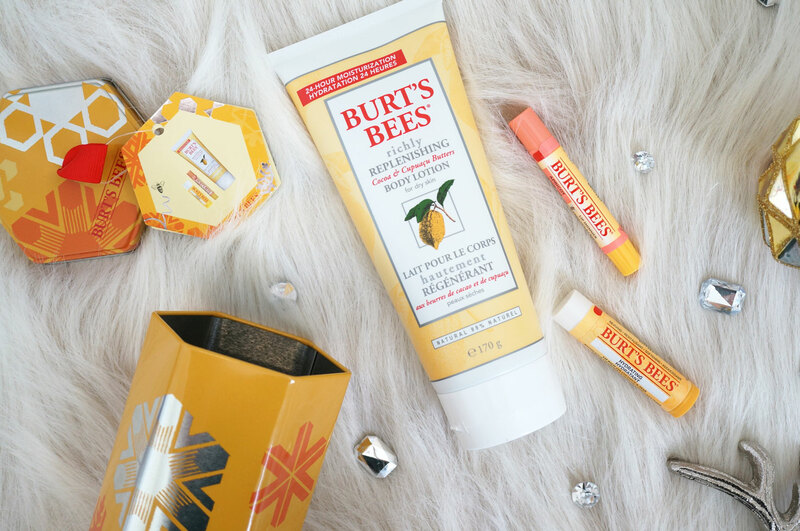 The hexagonal tin contains a trio of natural body and lip skincare solutions, including Burt’s Bees Richly Replenishing Cocoa and Cupuaçu Body Lotion for perfectly pampered skin, a Burt’s Bees Lip Shimmer (Apricot shade) for a hint of colour and a Burt’s Bees Hydrating Lip Balm with Coconut and Pear for soft & moisturised lips. This dinky little kit includes three of Ole Henriksen’s top products to restore the youthful glow back to your complexion. These professional strength products work in unison to combat all visible signs of ageing, revealing healthy and radiant looking skin. The set includes Truth Serum Collagen Booster 9.76ml – this vitamin C rich serum boosts collagen production and restores radiance back to the complexion, Invigorating Night Treatment 7g – this overnight resurfacing gel dramatically improves the texture of your skin, helping to reduce the appearance of dark spots and smooth fine lines and wrinkles, and Sheer Transformation – an everyday oil-free moisturiser that works to improve the skin’s tone and texture whilst helping to reduce the appearance of dark spots. Ted Baker always come up with the most wonderful gifts, and this gorgeous set would make a fantastic stocking filler. It contains Ted’s Polly EDT in a mini 10ml bottle, and a handy flip open compact mirror. 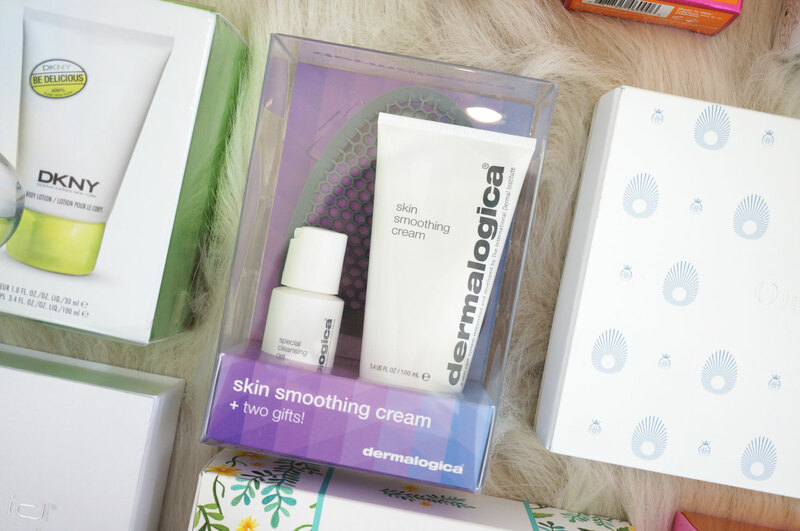 Described as the perfect Omorovicza starter kit for skincare on-the go, this gift set contains five bestselling products which have been handpicked for their deep cleansing, brightening and energising effects. The set contains a Deep Cleansing Mask (15ml) which re-energises and brightens the skin, a Queen of Hungary Mist (30ml) for a hydrating and energising burst, a Thermal Cleansing Balm (15ml) to remove impurities without stripping the skin, a Cleansing Foam (30ml) to leave skin clean and refreshed, and a Balancing Moisturiser (20ml) which provides long-lasting hydration whilst being instantly absorbed. 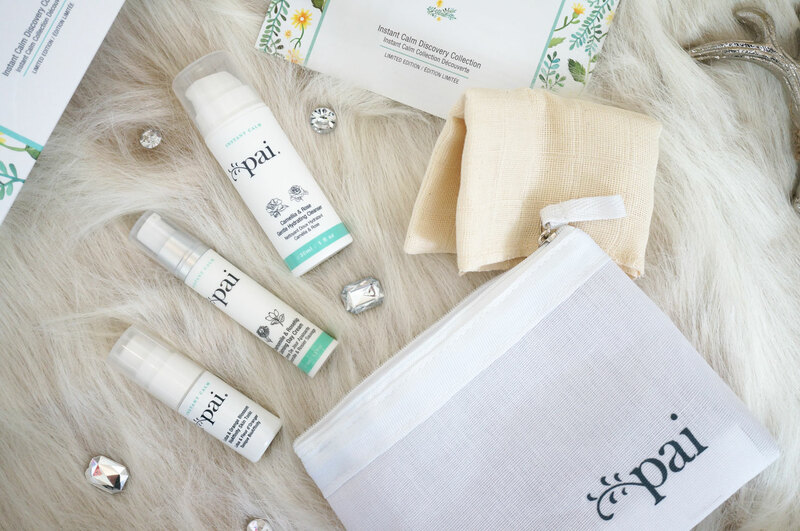 The Instant Calm Discovery Collection is the perfect introduction to Pai skincare products. Presented in a luxurious gift box with a bespoke print, the trio delicately cleanses, replenishes and hydrates sensitive and redness-prone skin. Complete with a handy wash bag and organic muslin cloth, you can treat your skin on the move. The set contains a Camellia and Rose Gentle Hydrating Cleanser (30ml) – this non-drying cleanser effortlessly melts away the build up of daily dirt, make-up and impurities, a Chamomile and Rosehip Calming Day Cream (10ml) – a soothing moisturiser developed to calm redness and irritation, leaving skin comfortable all day long, and a Lotus and Orange Blossom BioAffinity Tonic (12ml) – perfect for hydrating dry and sensitive skin. Perfect for normal to dry skin, this set features Dermalogica’s Skin Smoothing Cream 100ml – a medium-weight moisturiser, Special Cleansing Gel 30ml – a soap-free foaming cleanser and a limited edition Facial Cleansing Mitt, made of soft silicone with honeycomb pattern, that works with the cleanser to help slough off dead skin cells while cleansing the skin. 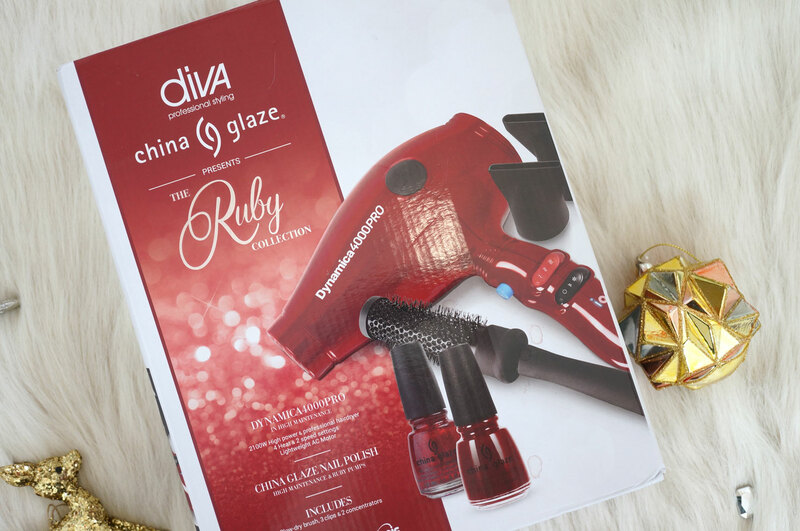 A hairdryer is always a great gift for Christmas, and this Diva hairdryer gift pack also comes with some gorgeous China Glaze nail polishes too! In the box you’ll find a high quality Diva Pro Dynamica 4000 Hairdryer and nail polishes in High Maintenance and Ruby Red from China Glaze, as well as Blow dry brush and three hair clips. I love Caudalie products, and this lovely Rose de Vigne gift set would be well received by beauty lovers this Christmas. The set includes a full sized Rose de Vigne 50ml fragrance and a free Rose De Vigne Shower Gel 50ml & Hand Cream 30ml. 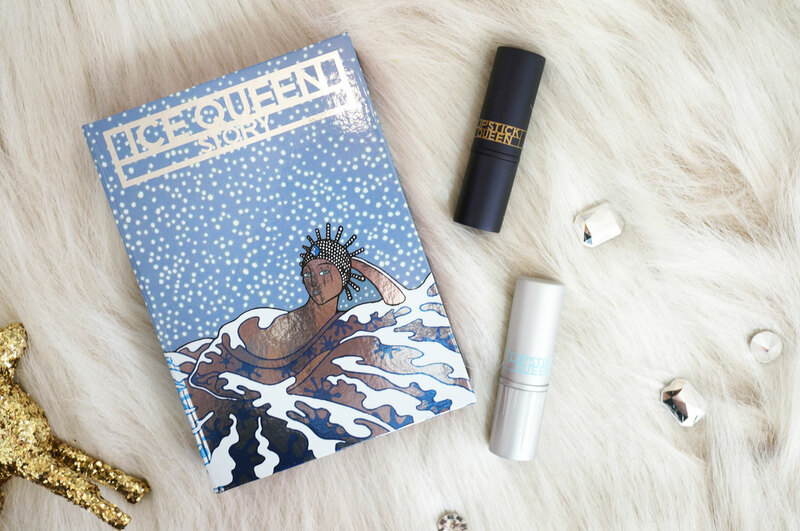 This sweet little Ice Queen Story set from Lipstick Queen is made to look like a book, except you open the cover to reveal two gorgeous lipsticks! Shade Winner Sinner is a rich burgundy red, and Ice Queen is a sheer shimmery silver and gold which can be used on it’s own or as a top coat. I’ll have a post coming up about these shortly! Another brand you might not initially think of, CID Cosmetics are definitely worth a look. This luxury gift set contains three of their top selling makeup essentials, to leave skin, brows and lips nothing less than award-winning this Christmas. The set contains a three full size products – an i-prime, an i-gloss in Tickled Pink, and i-groom in Neutral. 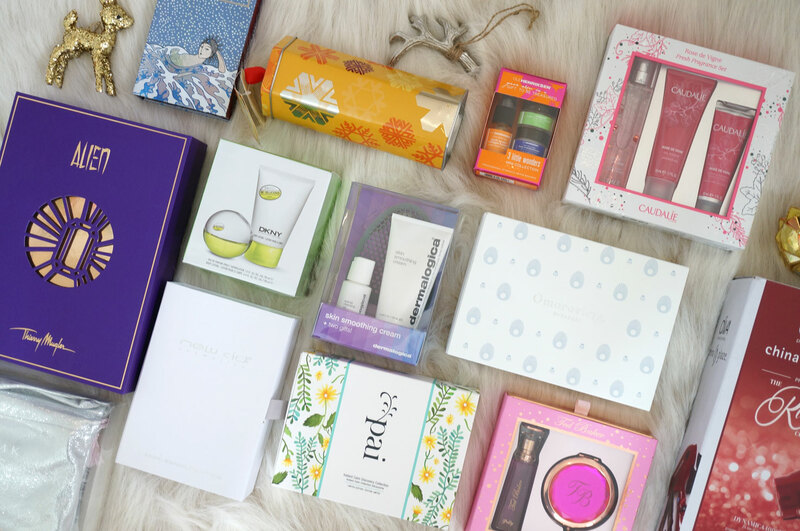 I’d love to hear if any of these fab sets take your fancy?